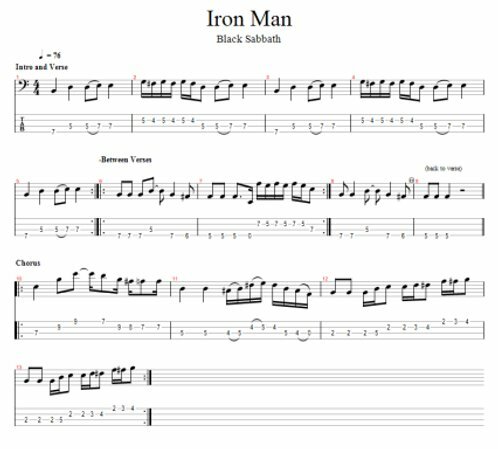 This tab is for "Iron Man" by Black Sabbath. In order to fit the tab on this page, just some of the sections are tabbed. This free Guitar Pro bass tab is meant just to get you started. This song was recorded by Black Sabbath on their 1970's album, "Paranoid". 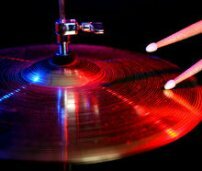 In 2000, 30 years after the song was first released, it won the Grammy Award for Best Metal Performance. Other awards include 310th in Rolling Stone's list of the 500 Greatest Songs of All Time. The #1 spot on VH1's 40 Greatest Metal Songs in 2006. The bassist for Black Sabbath, Geezer Butler was born in England.He is known for several innovations in bass guitar playing. Besides being one of the first bassists to use a Wah-Wah pedalon his bass, he was also innovative in his tuning. Specifically, he was the first bassist to tune his bass down 1 1/2 steps to the C# tuning(C#F#BE). He also wrote most of Black Sabbath's lyrics. Equipment: Butler is endorsed by Lakland basses. His two favorite basses are Joe Osborn and Bob Glaub signature basses. His amps are Ampeg and he uses Wah-Wah, Chorus, and Flanger, as well as other effects.